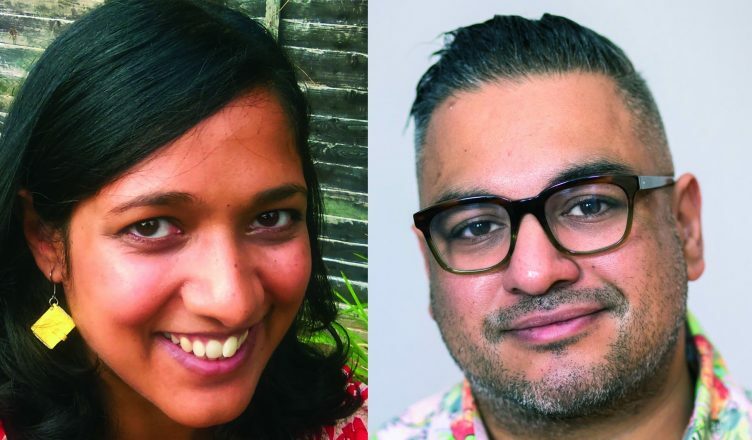 Earlier this year, Cultural eXchanges Festival welcomed authors Nikesh Shukla and Mahsuda Snaith for an in conversation event. Held in association with The Asian Writer, the evening took place at De Montfort University Leicester and explored Nikesh’s phenomenal rise, from early life as an amateur rapper to editor of best-selling collection of essays, The Good Immigrant. In this follow-up piece, both writers share their early experiences and influences as well as tell us more about their literary connection. Q. Where did you grow up and how do your early experiences still shape your writing? MAHSUDA: I grew up on an inner city council estate in Leicester. It was always apparent to me that I was different from everyone, not only because of money but because we were the only Asian family on the estate. I think being different is an amazing attribute for a writer because that feeling of being an outsider makes you view the world from a unique angle and also makes you question the norm. I’ve really learnt to be proud of my past, of being working class, of being British Asian, because those are the things that have made me. Because of this I think my childhood will always influence my writing. The outsider experience runs through everything I write. NIKESH: I grew up in Harrow, which is a pretty uninspiring place. I can’t think of many creatives from Harrow. In terms of my early experiences, I think being in a big family and being the only boy and eventually understanding the privilege that came with that and how that should be channelled for good things and not my own ends was formative for me. Q. Who would you say has had a major influence on your work and why? NIKESH: I would say it’s a toss up between Niven Govinden, Salena Godden and Nii Ayikwei Parkes. Each gave me an early break when I needed it, a commission or two when I was hungry, a shoulder to cry on when things went bad, often followed by a pep talk about how I needed to keep going, advice on my work, time on my work and most importantly, cheerleading my successes. Which I find we don’t do enough of. We’ll over analyse all our failures to the point of never really celebrating success. They all helped me do that. MAHSUDA: I’m more influenced by books and short stories than authors and the ones I constantly go back to when I need a bit of advice and inspiration are One Flew Over the Cuckoo’s Nest, Midnight’s Children, Oranges are Not the Only Fruit, and Life of Pi. For short stories there are some authors that I simple can’t get enough of: Aimee Bender, Jhumpa Lahiri and, most recently, Leone Ross and Tania Hershman. I really think all the books and short stories you love are your greatest teachers, so I dip in and out of my favourites regularly because I know they will always teach me something new. Q. Which books would you recommend early career writers read? MAHSUDA: Fiction wise, your favourite books are the best books for you to read and that’s going to be different for each person. Think about what books and genres you’re drawn to and why, dissect them and analyse what the writer got right (similarly, do this with the books you hate and analyse what they got wrong!). But there are a lot of creative writings books I would recommend: How to Be A Writer by Sally O’Reilly, because it’s the first book I read that told me about the practical side of being a writer, Into the Woods by John York because it talks brilliantly about story structures and Zen and the Art of Writing by Ray Bradbury because if that man can’t make you feel excited about being a writer I don’t know who can! NIKESH: I recommend no writer reads the Writer’s And Artist’s Handbook. Not yet. You’re not done with the manuscript. You are not ready… All you need to care about is the work. Make the work as good as you can make it. Then worry about how to get it out there. Too often writers send stuff out early, before it has cooked enough. And that’s how we get the early soul-sucking rejections. If you’re in it for the long haul, you will take your bloody time. In terms of other books, read books that inspire you to tell your own stories, read the people who influenced your favourite writers, read curiously and widely, read non-fiction as well as fiction and read my books, because I need to buy nappies. Q. 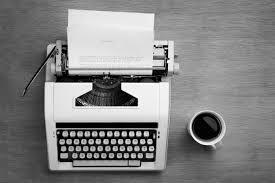 What excites you about being a writer in today’s world and what are the challenges? NIKESH: There has never been a better time to be a a writer. Writing can change the world. It can influence people’s opinions, the conversations we need to have and the relationships we need to address. Good writing will speak truth to power in any form. Good writing will never kick downwards. And good writing will offer constant windows and constant mirrors. It’s an inspiring time to write. The main challenge is being heard, being read — whatever you do, getting it in front of people’s faces can be a challenge. MAHSUDA: I’m so excited about the growing variety of stories and novels being published, from writers of colour, LGBTQ writers, disabled writers, working class writers and all the other groups I didn’t see represented in literature growing up! Stories really can bridge gaps and help us appreciate our differences as well demonstrate that we aren’t actually that dissimilar. I still think there’s some way to go in terms of diversity in publishing but we’re on the right path, or at least a better one that we have been in the past. I really think the short story, and short story collections, are underrated in this country and I would love to see them highlighted and championed more too. Q. When was the first time you came into contact with each other (either in person or through a piece of writing) and what were your thoughts? MAHSUDA: I came across Nikesh’s first book Coconut Unlimited many years ago. The dialogue was so sharp and one of the most realistic I’ve read in fiction. Then Nikesh was the judge of the Bristol Short Story Prize 2014, which was the year I won. It’s so strange to think someone who has written a proper book, that is in proper shops has read and rated your work. I think prizes are brilliant for up and coming writers because they really give you a huge stamp of validation and spur you to go on. NIKESH: I judged the Bristol Short Story Prize the year Mahsuda one and was an early reader on her first novel. I love how she writes really human brittle characters in often impossible circumstances and fills them with life and hope and inspiration. I love her work. Q. When did you first meet in person and how did that conversation go? NIKESH: I think we met at an event in Leicester organised by The Asian Writer over some chilli paneer. If memory serves, we’d arranged to meet a bunch of times and it never quite happened. And I may not have been at the prize ceremony because of a newborn. I can’t quite remember. Either way, I love her work and am happy to have Mahsuda in my life. MAHSUDA: I hope my recollection isn’t different from Nikesh’s! We didn’t meet at the Bristol Short Story Prize ceremony as he’d just had a baby, so I believe the first time we met was at the London Short Story Festival 2015. I was there with the Asian Writer to do a workshop and Nikesh was there to talk about the short story form and we got to meet briefly in a break. It’s always brilliant to meet someone you admire and find they are just as lovely as you had hoped they’d be. I can’t remember what we talked about but I do remember Nikesh gave me a high five which made me feel way cooler than I actually was. Q. What has been the most surprising thing to you since then? MAHSUDA: Getting the two-book deal with Transworld in 2016 definitely came as a bit of shock (especially as I was due to give birth when I found out)! I had been working towards getting a novel published for so long and I’d lost a bit of hope when it wasn’t happening, so it was so amazing when it finally did and even more amazing when Nikesh provided a quote for the cover. There is a lovely community of writers out there and lovely readers too. You can’t beat the feeling when someone comes up to you and and tells you they enjoyed your work. For me stories are all about connecting with people and to know I get to do that for a living is an amazing privilege. NIKESH: About life? That just when you think the news can’t sink any lower, it goes, yeah… about that… About Mahsuda? Nothing surprises me. She has written an excellent second novel. As I knew she always would.